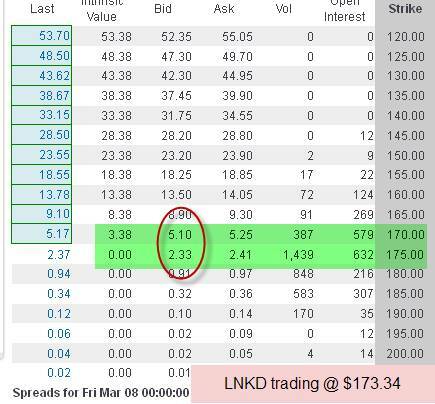 There is a new options product that will begin trading on March 18th which has the potential to add great flexibility to our covered call writing strategy. 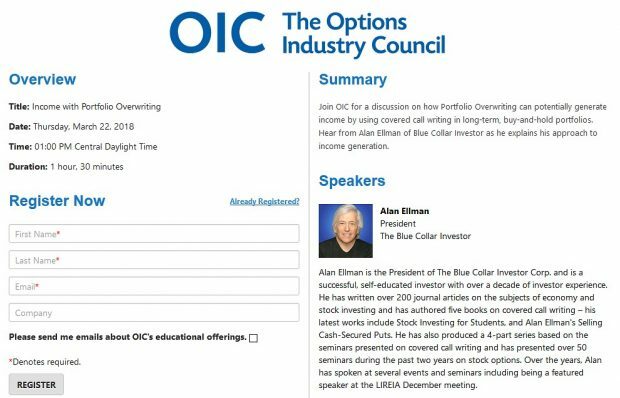 They are called mini options and I’m excited to present this information to you because the product is geared to average retail investors (aka Blue Collar Investors) like us. Like all new products we must take our time to evaluate the efficacy of instituting them into our portfolios but the potential initially seems quite positive to this investor. What is a mini option? These are contracts that deliver10 shares of an underlying security, whereas standard contracts deliver 100 shares. They will have the same expiration dates and strike prices as the standard contracts. The International Securities Exchange (ISE) also expects the bid-ask spreads to be the same. We’ll see about that. These new products are not superior to their standard counterparts, just smaller with reduced risk and reduced reward. What will the commissions be? Right now, I would frame this as a big unknown. I haven’t received a firm response from the exchanges or brokerages I have contacted. One would hope (expect) that the commissions would be 1/10th of that of the standard contract but there are no guarantees at this time. What are the available underlying securities and why were they selected? Since the average portfolios of retail investors has between $10,00 and $50,000 in assets, the mini options will allow many of us to trade with high-priced underlying securities. 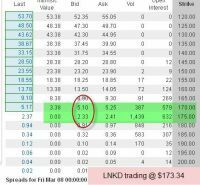 For example, to sell a covered call on AAPL, we would currently have to purchase 100 shares at about $500/share or invest $50,000 before we could sell the option. That one trade would create too much risk for most of us and prevent appropriate diversification. With minis, we could purchase just 10 shares for $5,000, sell the mini call and have plenty of cash left over for additional positions. We must be sure that the brokerages, market makers and market vendors are prepared for the March 18th launch. Let’s allow others to be the guinea pigs and then we can jump in once the “bugs” are ironed out. The new mini options appear to be a product that will benefit average retail investors. It will allow us to trade high-priced securities while still properly diversifying as well as allowing for balanced cash allocation. However, it is prudent to wait a bit for the launch of these new products and then re-evaluate their value to us a few months down the road. For the week, the S&P 500 rose by 0.2% for a year-to-date return of 6.9%, including dividends. Does your webinar on Thursday include a discussion of exit strategies? I can really use some help in that area. Thanks. There WILL be a discussion of exit strategies in the latter portion of my presentation. I will mention all the available exit strategy choices and give examples of two of them. The Weekly Report for 03-01-13 has been uploaded to the Premium Member website and is available for download. Any update on whether weekly options are a viable tool for the BCI Methodology? We firmly believe that the SAME screening process that makes our premium stocks great monthly covered call candidates also make them eligible weekly candidates. For the last several months my team has been monitoring our premium stock reports to see how many candidates also have weeklys associated with them. Right now that number is under 5 per report many times lower than that. But as more products are added (as with the minis I wrote about in this article) that number will grow. BCI started reporting ETFs with weeklys a few months ago and will add stocks with weeklys in the near future. There is a HUGE demand for options and so we anticipate the list of our premium stocks associated with weeklys will grow over time. Click on image to enlarge and use the back arrow to return to this blog. The Weekly Report for 03-08-13 has been uploaded to the Premium Member website and is available for download.